PUMA spoils you for choice this Valentine’s Day with the new Basket Crush and Basket Crush Emboss sneakers. The Basket Crush, retailing for R1 399, will be available at PUMA stores from 8 February 2019. Aptly rendered in a bold Hibiscus colourway, the unique asymmetrical lacing system creates a perfect top-down view of the shape of a heart. One of the brand’s most iconic silhouettes, the latest iteration is designed with beautiful fashion-forward detailing inspired by on point street style. 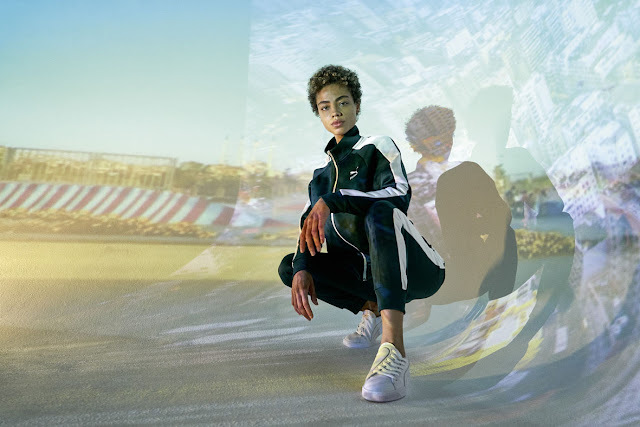 Featuring PUMA branding on the heel with a tonal formstripe on the lateral and medial side, these stylish sneakers will be a hit all year-round. The Basket Crush Emboss, retailing for R1 399 is available at PUMA stores and selected retailers. This iteration of the iconic sneaker is accentuated with a metallic foil deboss line, while the unique asymmetrical lacing system creates a perfect top-down view of the shape of a heart. With metallic PUMA branding on the heel, the sneakers in PUMA White – PUMA Silver feature a tonal formstrip on the lateral and medial side.